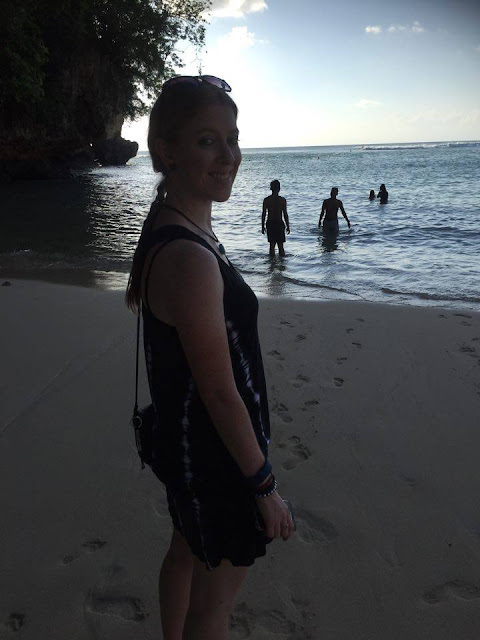 I recently got back from an awesome holiday in Bali, Indonesia. It was a really spontaneous trip- we only booked 2 and a half weeks before we left which was so exciting and fun! It was our second time there- the last time was only in November last year, but we liked it so much we couldn’t wait to go back. 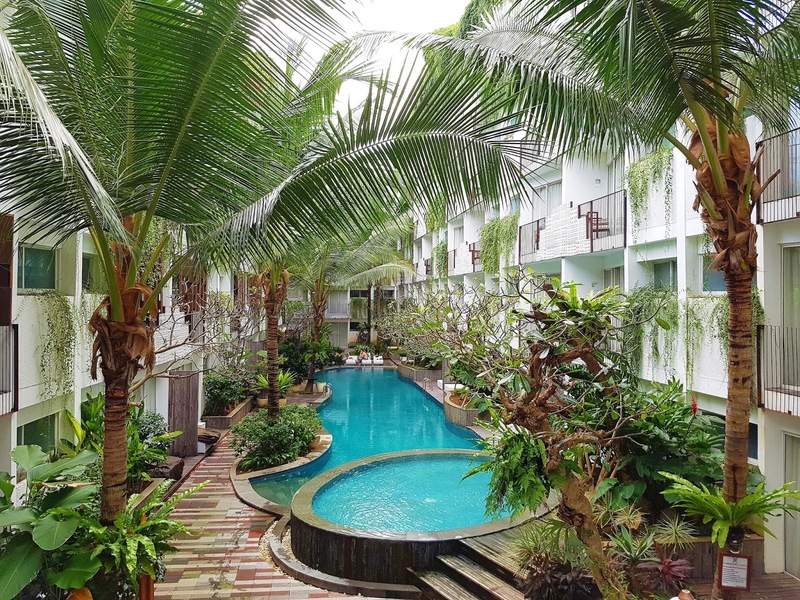 We had 9 nights and 8 full days and this time stayed in Legian (last time was in Seminyak). Bali from Brisbane is only a 5 and a half hour flight away. We arrived at our hotel- The Akmani at about midnight our time, so we were pretty tired. 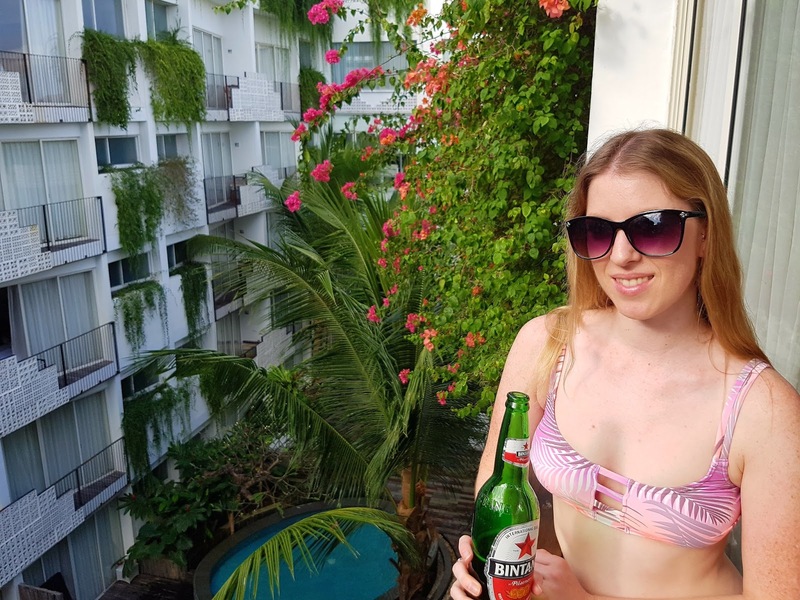 We went out for a quick dinner of Nasi Goreng and Satay chicken skewers (my favourite) along with some mandatory Bintang (beers). We took a short walk to explore the area and then pretty much went straight to sleep after that. Due to a few unfortunate problems with our room, we were quickly upgraded to one of their finest suites with its own private rooftop garden which we were more than happy with! 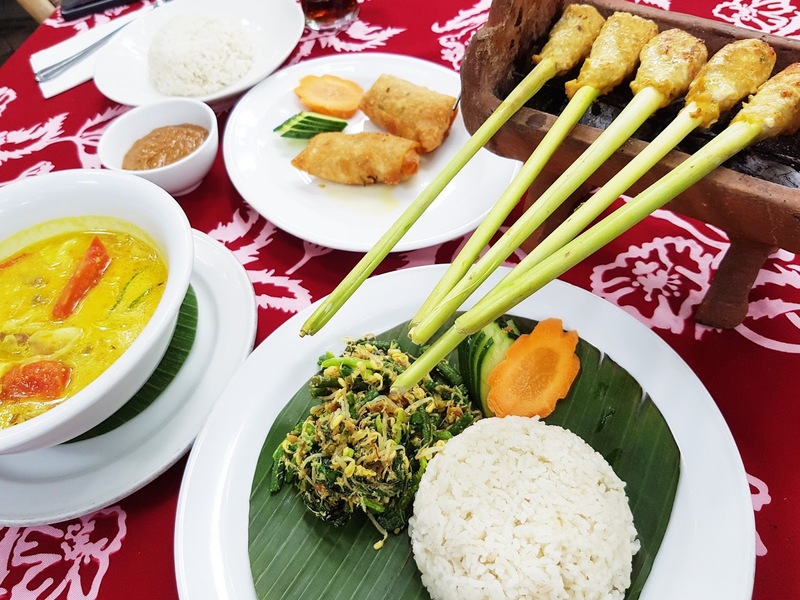 We found an Indonesian gem for lunch just down the road from us called Kopi Pot. The food and prices were so incredible we went back there two more times during our stay. I ordered the charcoal fish on lemongrass skewers and it was so delicious! For the afternoon we decided to check out our hotel’s rooftop pool bar. We had a cocktail each for happy hour and a couple of Bintangs and sat in the pool until the sun went down. In the morning we headed to Seminyak to get massages at Bali Spa. 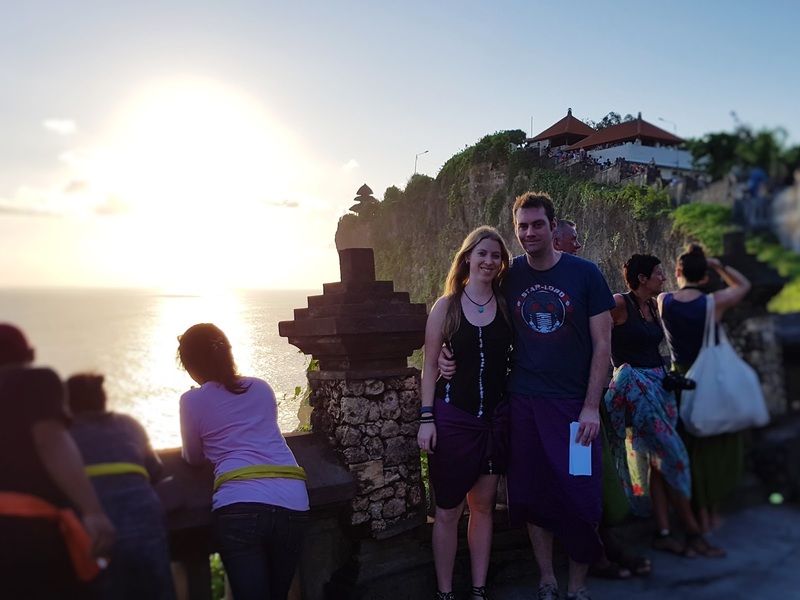 One of the great things about Bali is that basically everything is at least half price. 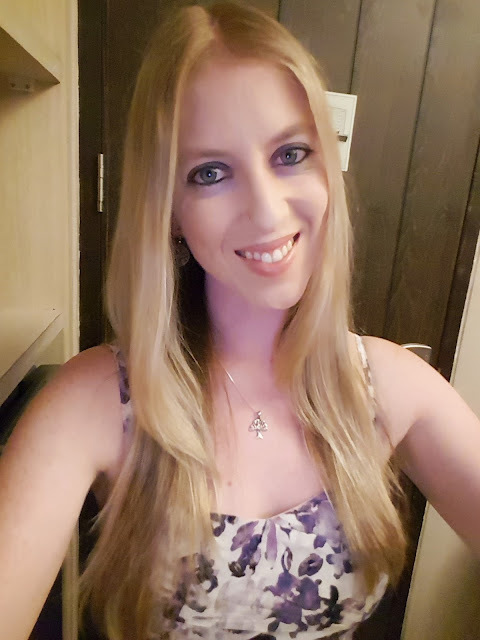 Pampering services are even more so, with massages here at around $15 (Australian). So it’s a really great opportunity to indulge and treat yourself, especially as I would never get a massage (or a facial or mani-pedi etc.) at home as they are usually more than four times the price there. We enjoyed a traditional Balinese massage which was very firm but it makes you feel so good afterwards! After that we went to Mades Warung, and each had the ‘Babi Guling’- a traditional Indonesian suckling spit-roast pig dish. It is so delicious and a must-try if you come here yourself! We browsed a few shops on our way back to the hotel; there is really great shopping here and many unique boutique clothing stores. 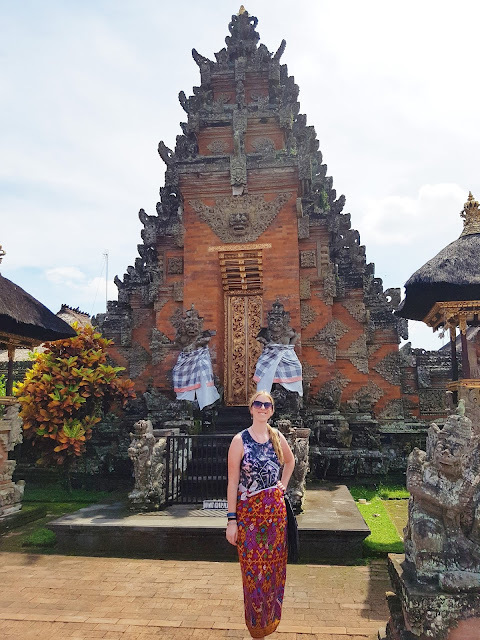 We chilled for the rest of the afternoon and at dinner time went back to Seminyak to one of our favourite restaurants from our last trip- Queen’s Tandoor which is an Indian restaurant, and seriously the best Indian food we’ve ever had in our lives! (As we haven’t yet been to India obviously!). After stuffing ourselves silly we went just down the road to Frankensteins which is a fun lively bar in the theme of a laboratory. The entertainment and live music is very good. That evening the lead was dressed as Beetlejuice and they even performed to some songs from the movie which was awesome! 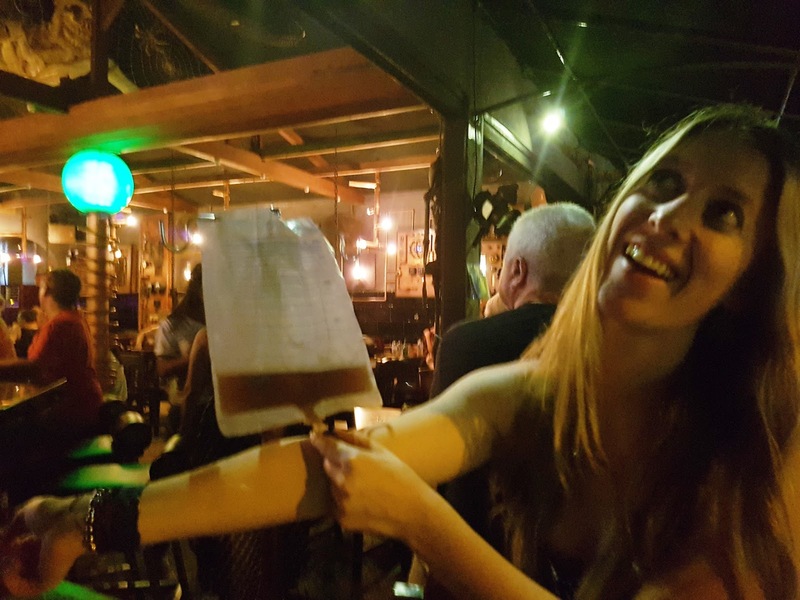 We had quite a few drinks there including an ‘eyeball’ (lychee) martini and a cocktail for two that came in an IV bag. It was a very fun night! We decided to venture to Kuta town centre which is only about a 20 minute walk from Legian. Again we browsed shops along the way as we pleased and I bought a cool new tie die dress. 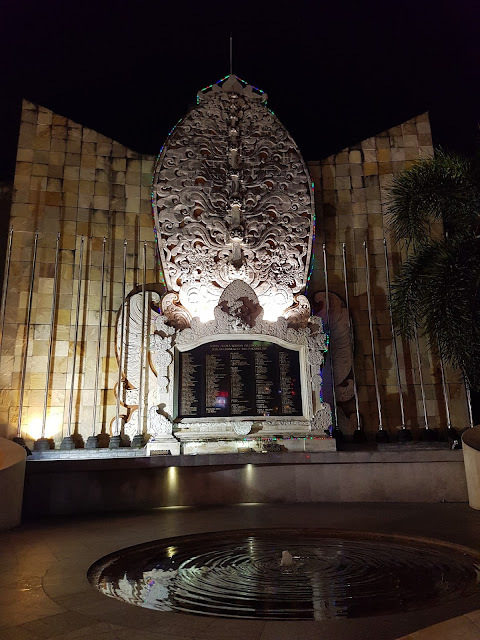 We walked along the beach and then found and browsed the Discovery Mall– the largest in Bali. 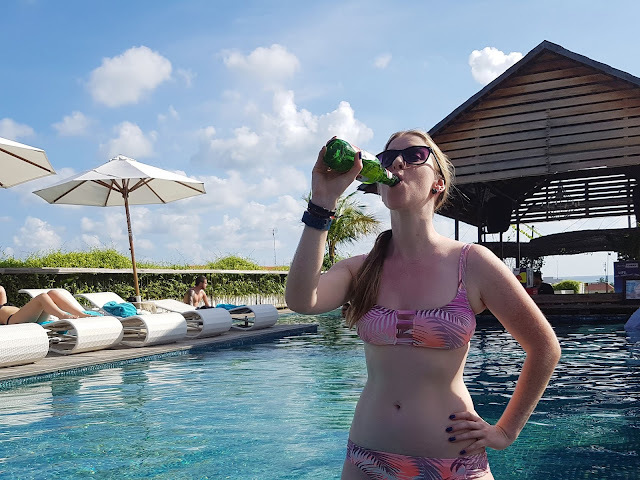 After a Nasi Goreng lunch, it was back to the hotel for the rest of the afternoon and we chilled by the pool and had a couple of drinks on our balcony which was nice. For dinner we discovered another gem- probably our new favourite restaurant Warumg Padmasari as the prices were ridiculously cheap ($20 for a 3 course meal each and drinks) and the food was so delicious and authentic (we also went back there another two times during our stay!). After our great feast we decided to go for a nightcap and went to the Bali Sky Garden. We were sitting with a view over the Ground Zero- where the Bali bombings happened back in 2002. It was quite surreal and so sad thinking of the hundreds of people that died in that spot- many of them Australian tourists. We had a really relaxing day today. Gareth got another massage at Bali Spa while I got an hour long mani-pedi (both for less than $10!). 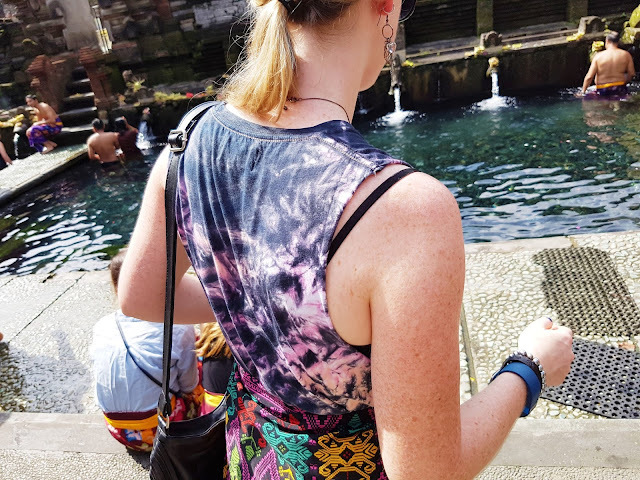 I also decided to get my hair done in Bali (blonde foils and cut) as I saw the prices for that were half the price than in Australia, so I did a little research and Smart Spa had very good reviews. 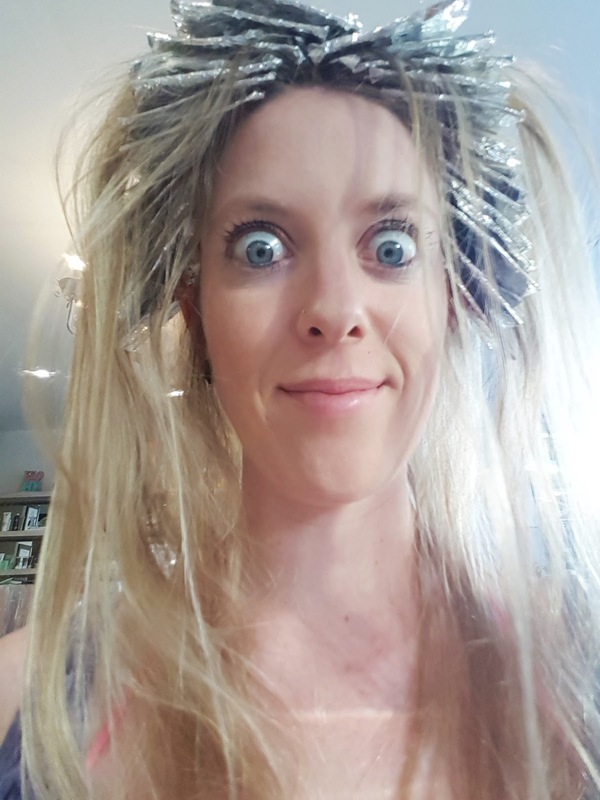 I’m really glad I did because this hairdresser did the best job on me that anyone has ever done! He took so much care and my foils have never looked so perfect! The downside was that it took twice as long as it normally does- but the results were absolutely worth it! I was so happy with my hair. It was great timing as well as that evening we had pre-booked quite a fancy restaurant for dinner at Sarong. It was one of the top rated restaurants on Trip Advisor and the place was very nice- just, of course, a lot more pricey than you would normally spend on dinner in Bali. But we thought we should at least have one dressy-up nice meal out while we were here. I started with my very first ginger espresso martini and it was delish! 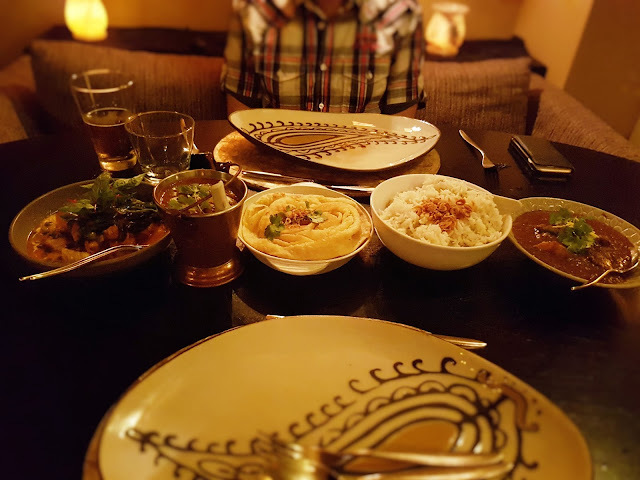 The food was very nice, and it was a lovely evening. On the way home in a taxi cab, we met Mr. YoYo (our driver) who was to become our personal driver for two full day trips over the next week. He was quite a character and a very funny and interesting person to meet. 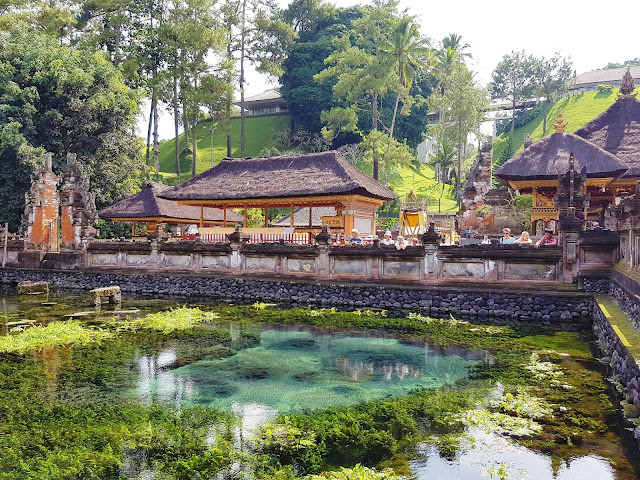 Spirituality is one of the central vibes of Bali and temples are dotted practically everywhere you look. 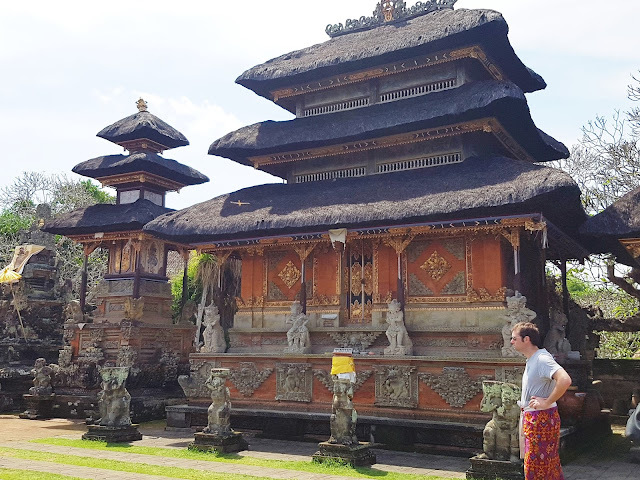 The main religion here is Balinese Hinduism and they have many large beautiful and ancient temples I was keen to see. Seeing the Uluwatu temple during sunset was a must-do, so we arranged a nice trip to the south of Bali and decided to make a day out of it. 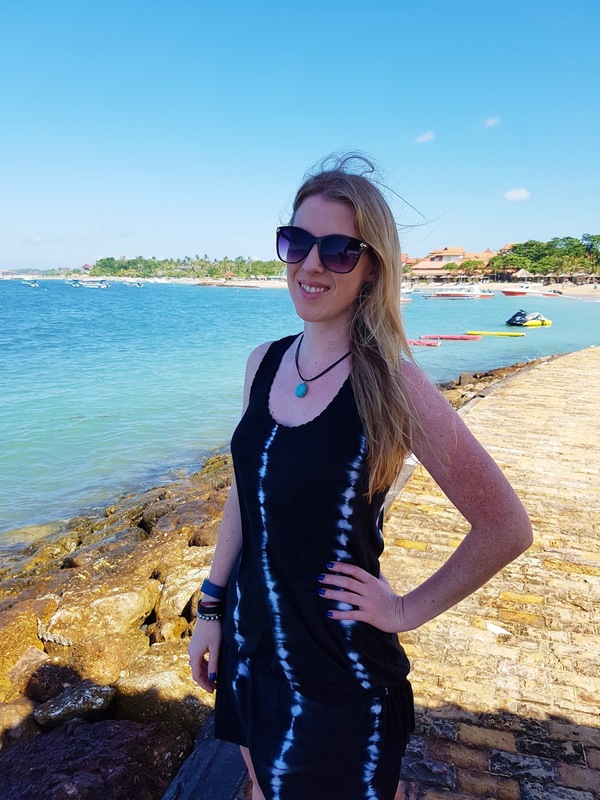 Mr YoYo picked us up after lunch and first took us to a beautiful beach in Nusa Dua. 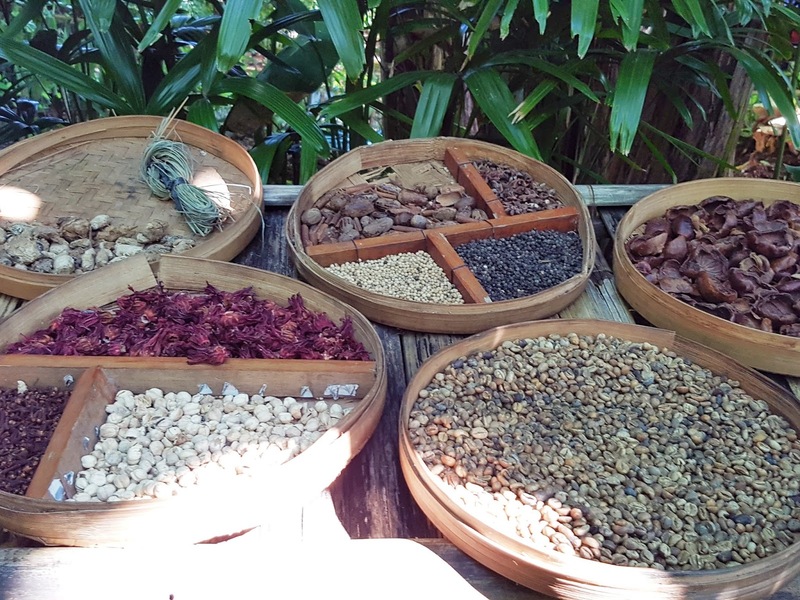 We then went to a Luwak coffee tasting place. 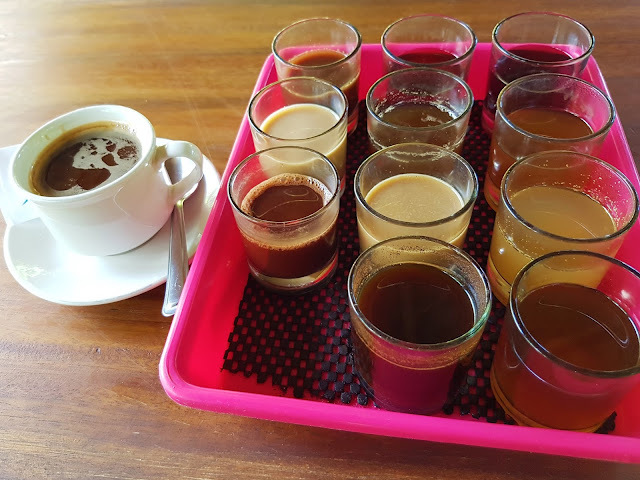 It was our second time trying it, and I don’t really like the Luwak coffee (also known as ‘cat-poo coffee’- seriously!) but I was all over the other tea and coffee tastings. My favourites were the coconut coffee and the lemongrass tea. Next up we spent an hour on a popular beach, enjoying the sun and drinking Bintangs. 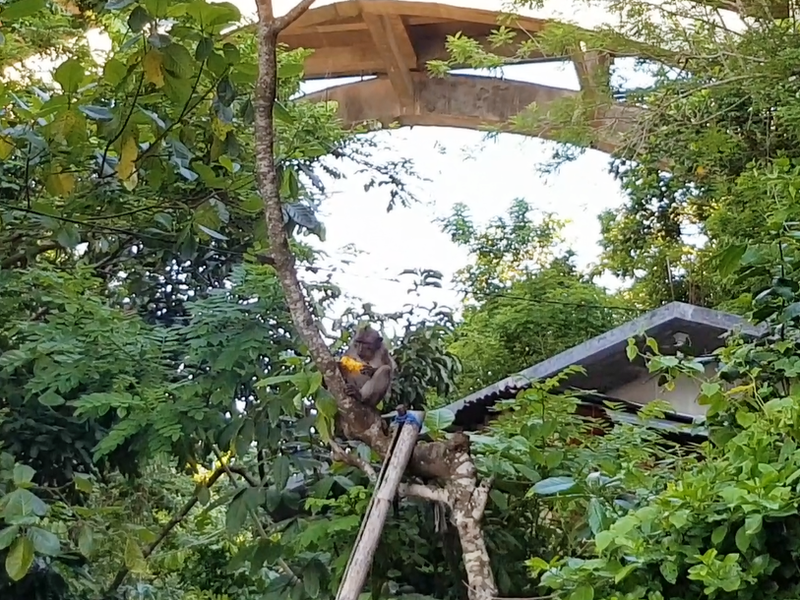 There was even a monkey nearby in a tree eating a cob of corn! 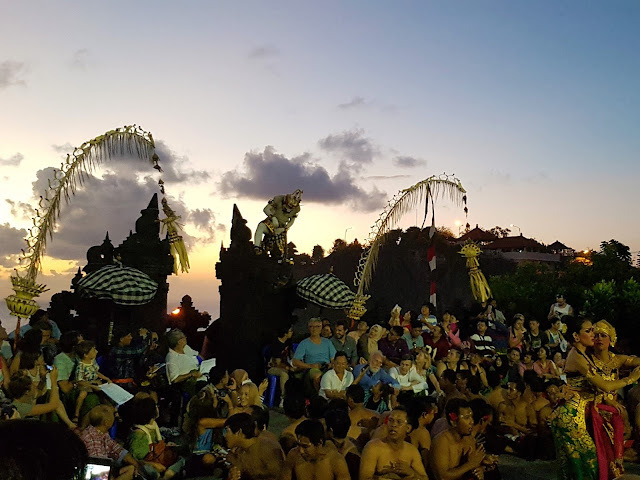 We headed to the stunning 11th Century cliff-side Uluwatu temple for the sunset and to watch the traditional ‘Kecak and Fire’ dance. 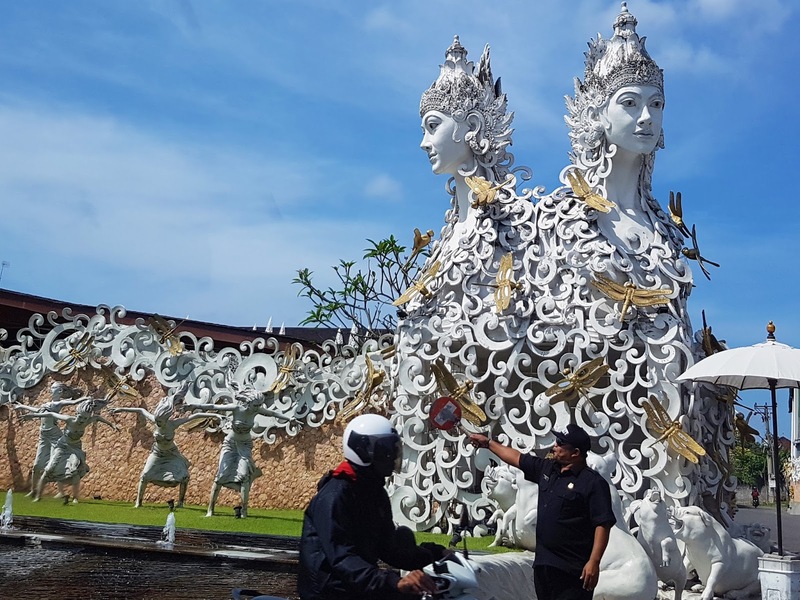 It was such a beautiful temple and a pretty entertaining show. Lastly, our driver took us to a delicious fresh seafood restaurant right on the beach for dinner at Jimbaran Bay. We had freshly caught snapper and prawns we picked ourselves and it was fantastic eating before the waves. We had a very chill and relaxing day. 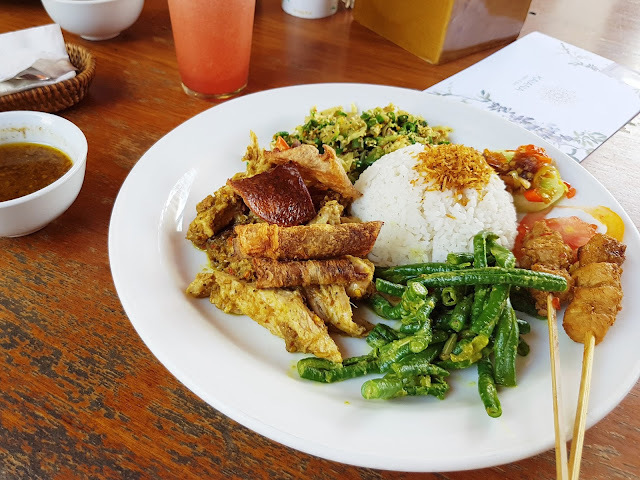 We hung around Legian and went back to Warung Padmasari for lunch. 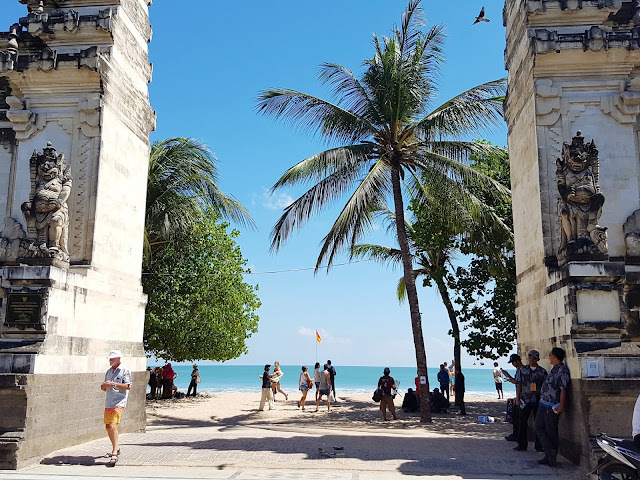 We then checked out Legian beach that was very nearby and walked along it. 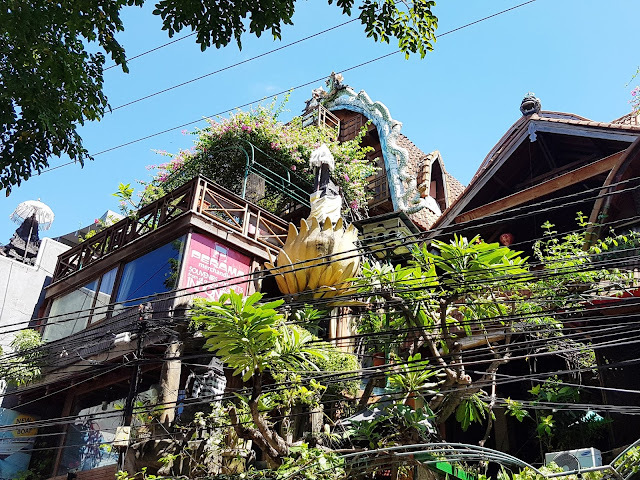 We spent the rest of the afternoon by the pool before heading to a close by Thai restaurant where I had a delicious Pad Thai and mango sticky rice for dessert. Mr. YoYo picked us up bright and early this time for a full day trip North of Ubud. He was with one of his older sons this time to keep him company which was sweet. 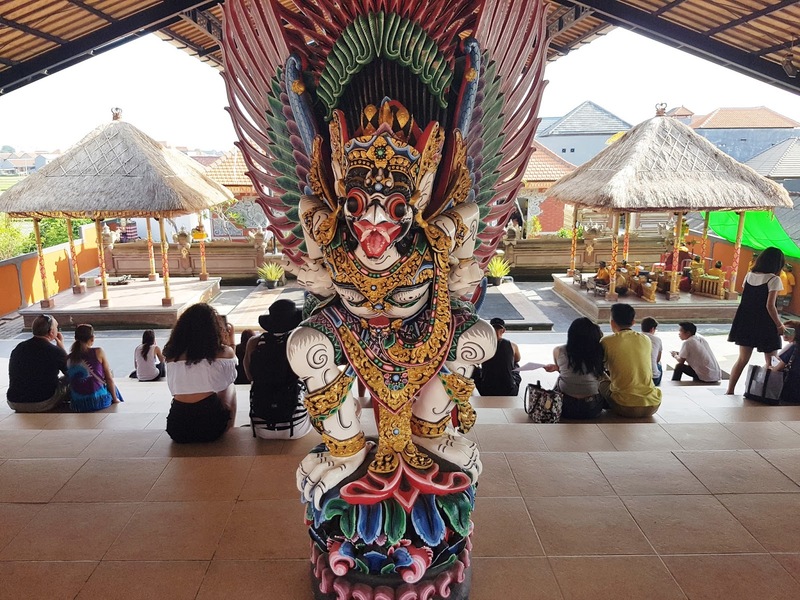 We started with another traditional Indonesian dance show in the morning called ‘Barong and Kris’, followed by a visit to Batuan temple. 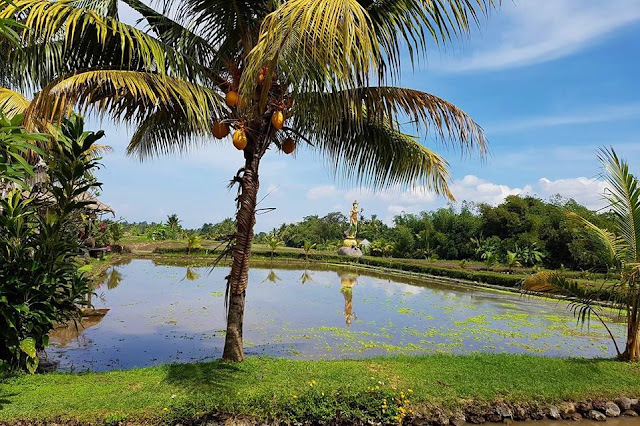 We had lunch at a restaurant overlooking rice fields in Ubud and it was so picturesque! Our next stop was Goa Gajah, or Elephant Cave, a 9th Century sanctuary. Our final temple was Pura Tirtha Empul, known for its sacred spring water with healing properties, which dated back to 926 AD. 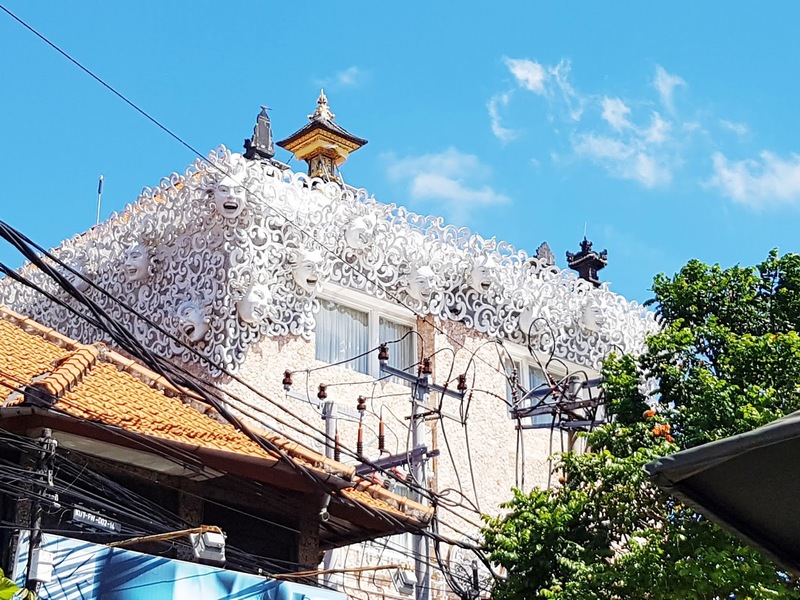 It was the most beautiful temple I’ve ever seen. Everywhere I looked felt like I was looking at a painting! 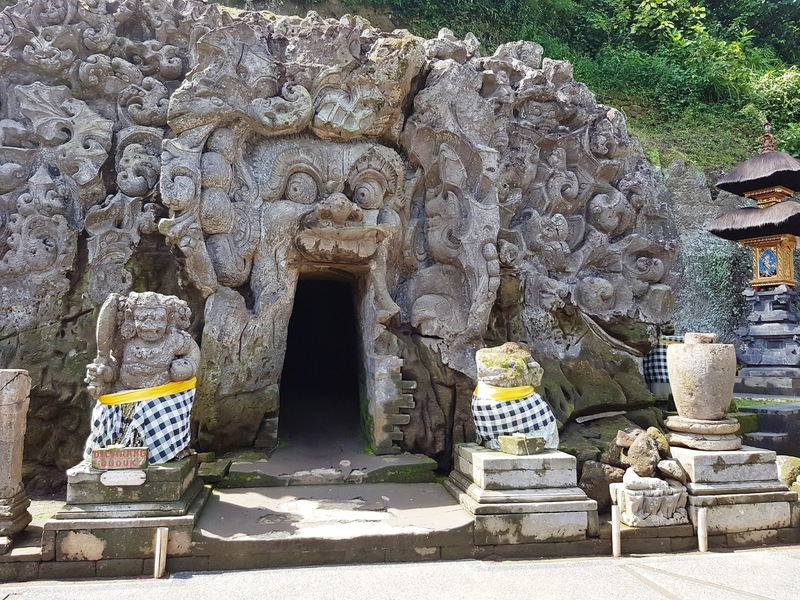 We had a big drive around the north of Ubud, and saw so much of authentic Bali. 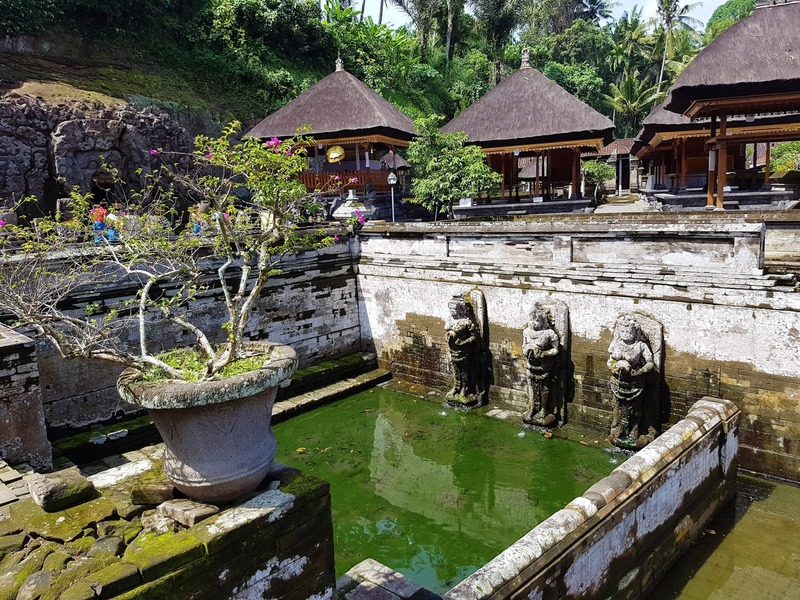 It was really nice to see the real side of it- away from the big tourist hubs of Seminyak, Legian and Kuta. We got to see children coming out from school, their houses and a glimpse into how they live. 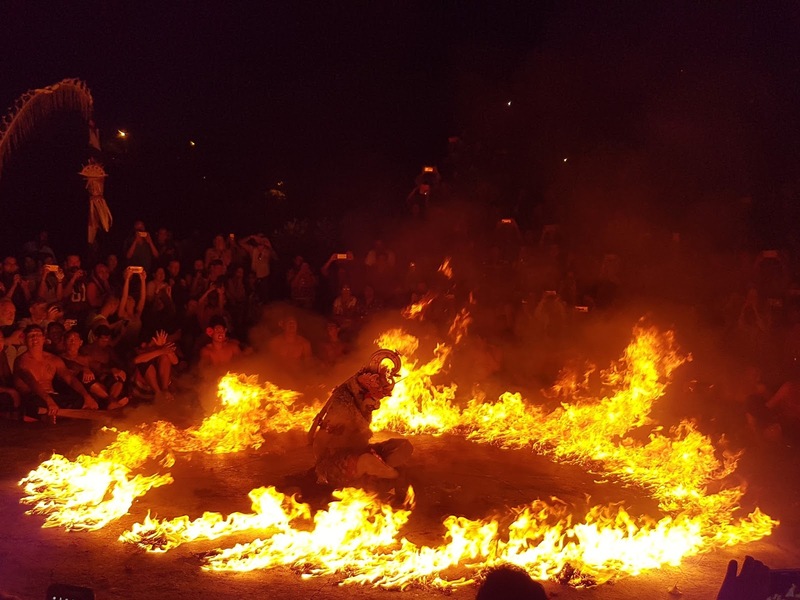 It’s such a different life from our own so it’s really special to learn about other cultures and different people’s way of life. 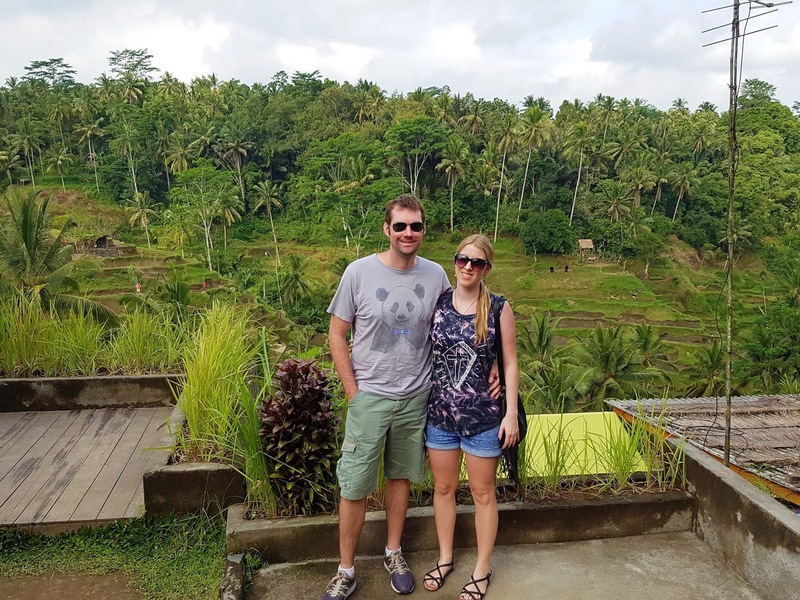 Lastly, we had a quick stop at the Tegalalang Rice Terrace, before heading home early evening. It was a long day but I think the most enjoyable I had on this trip. 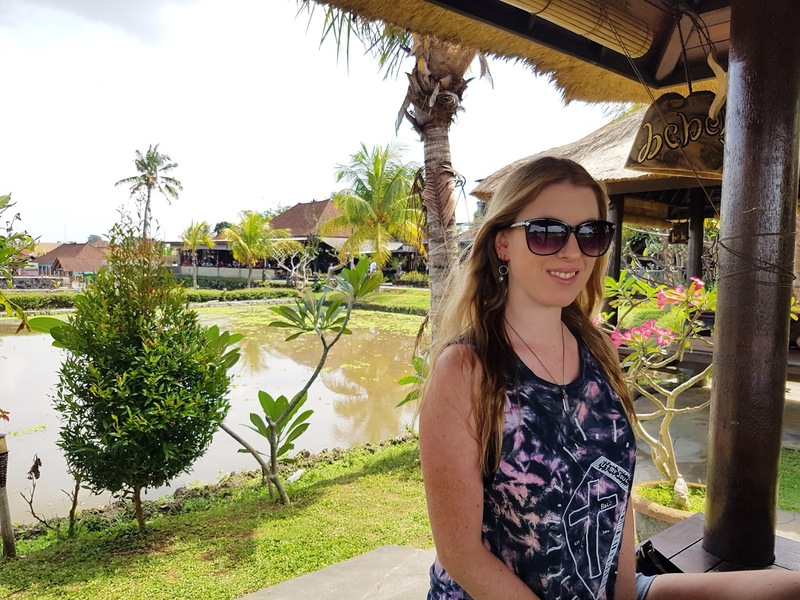 It was our last full day in Bali and I had booked in- my 6th Tattoo! I did a lot of research prior and found an excellent Tattoo studio with great reviews. 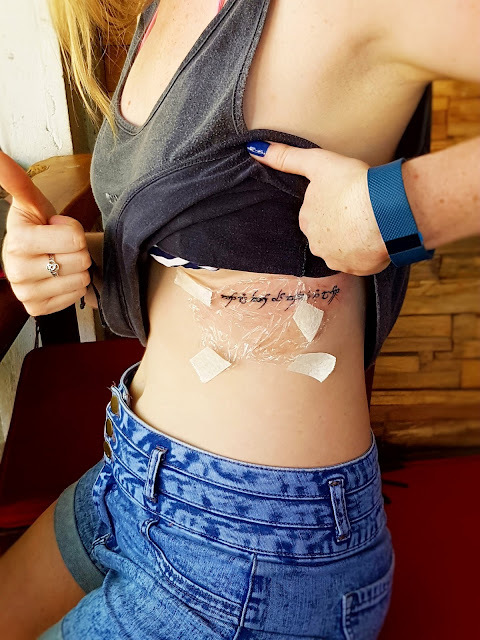 To be honest, I was a tad nervous in the days leading up to it as all of my tattoos were from the same artist, and being in a foreign country and all. Also, there are tattoo parlours on practically every corner, so I didn’t really know what to think of that. But a couple of days before I did go in to Bali Tattoo Studio to check it out first- and it looked great so I was very reassured. My appointment time rolled around and it only took 10 minutes of actual ‘needling’ before it was all done! He said he did it extra fast as the spot I was getting it (ribcage) makes you twitch as it’s very tender (oh yes). So I was grateful for that! It was a brand new packaged needle that they made sure to show me and the whole process was 100% professional, as good as my previous artist. The tattoo was perfect and I’m so happy with it! 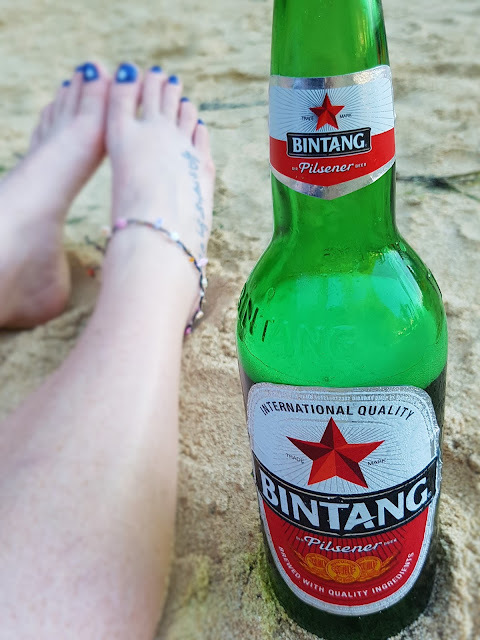 I washed down the pain with a much needed Bintang at lunch and then Gareth and I had another appointment at Bali Spa! He got another massage and I had a lovely hour long facial which was so relaxing I almost fell asleep. 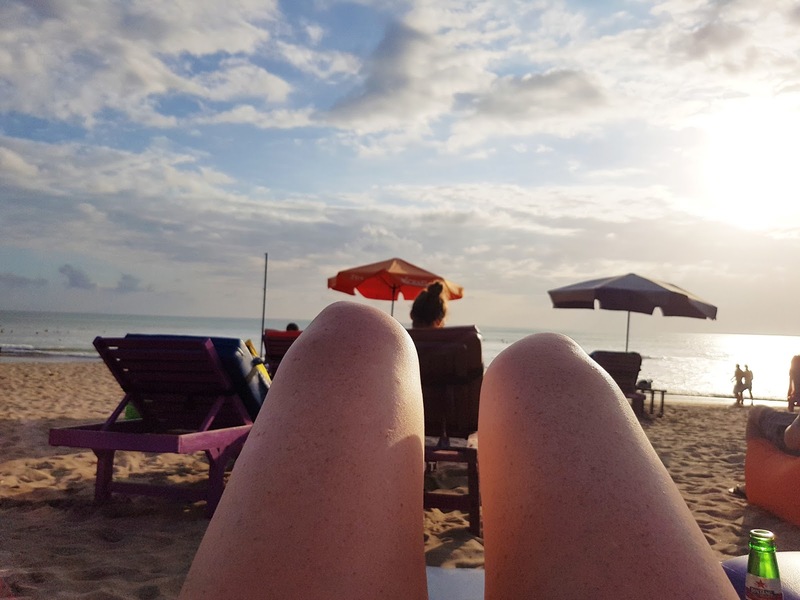 We headed to the beach for the rest of the afternoon and enjoyed a few beers on a lounger and eventually watched the sun set. 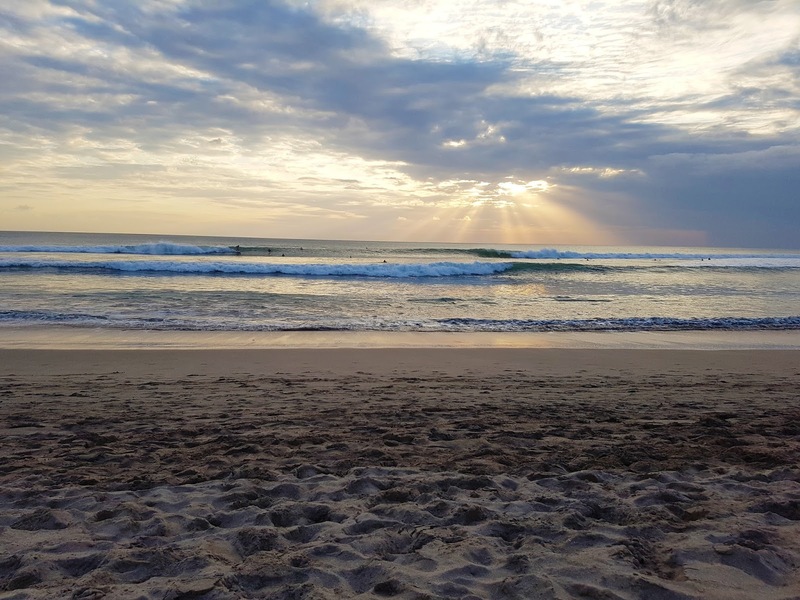 It was very enjoyable watching the many surfers catching the enormous waves and a great way to end our trip. On our final morning, we went out for a bit of last minute souvenir and present shopping before checking out of the hotel. We both had an absolute blast and were very sad the holiday had flown by so fast. 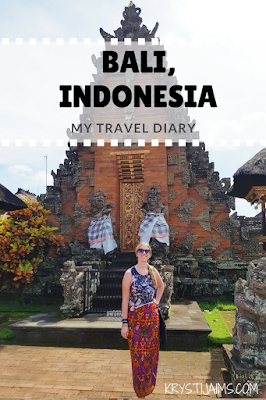 We are already planning ideas for our next trip to Bali and will certainly be back sometime soon! 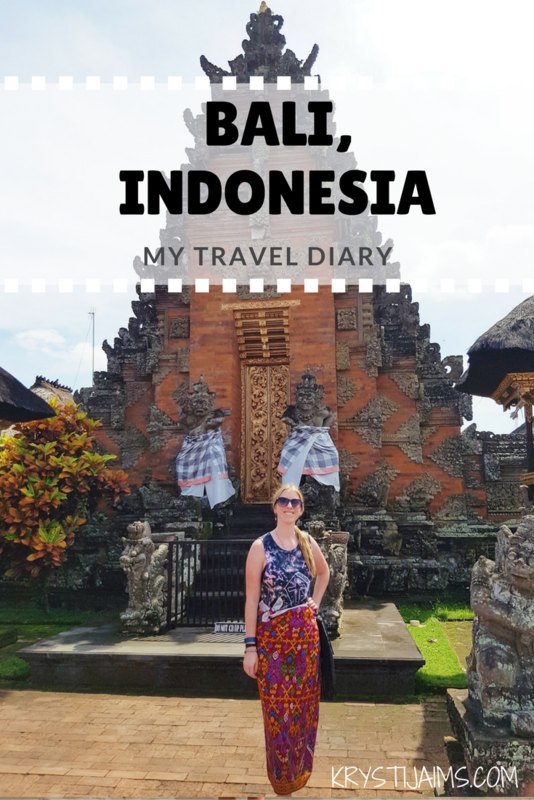 Thanks so much for reading, leave me a comment if you enjoyed this kind of post and stay tuned for a ‘Bali Travel Tips’ post coming later this month!